Other Products by Rule 1. Search other Vegan Protein products. What's Rule 1 Plant all About? Rule 1 R1 Plant Protein is a great tasting 100% plant-based product designed to deliver all of the nutrition of a regular whey protein shake, yet without any dairy or animal products of any kind. You see, going vegan doesn't mean that you have to miss out on quality protein shakes. Not any more, anyway. Not with Rule 1 R1 Plant Protein. This is the first protein powder on the market to include pea protein and a range of seed-based proteins, including sunflower, pumpkin and even watermelon seed protein. This product contains every single essential amino acid, and all derived from plants! Even tryptophan and the branched chain amino acids are in this powder in abundance. This means that your body has all of the amino acids that it needs to recovery from exercise, or even just to stay healthy if you're finding it hard to eat enough quality protein food through your daily diet. Rule 1 R1 Plant Protein can be taken with low protein meals, as a snack between meals, or supplemented after exercise to enhance recovery. Mix it, Shake it ... even Bake with it. Rule 1 R1 Plant Protein contains one of the most exceptional plant proteins yet discovered, containing an essential amino acid profile close to that if whey protein. And in the end, this is what makes protein important for recovery from exercise, as well as supportive of general health. Amino Acids. Specifically, the essential amino acids (EAAs). These are building blocks for the human body. We need EAAs for the maintenance of hair, skin, bone, joints, tendons, ligaments, teeth, organs, and of course, muscle. Yet they are used for so much more than this as biochemical precursors. For instance, melatonin, the natural sleep molecule synthesized in the pineal gland at night, requires tryptophan. The thyroid gland relies upon phenylalanine for the synthesis of tyrosine, which is needed to build thyroid hormones, such as T3 and T4. Pretty important stuff, right? Don't worry, Rule 1 R1 Plant Protein is loaded with these helpful nutrients. If recovery from exercise and building lean muscle is your thing, then plant protein has a lot to offer. 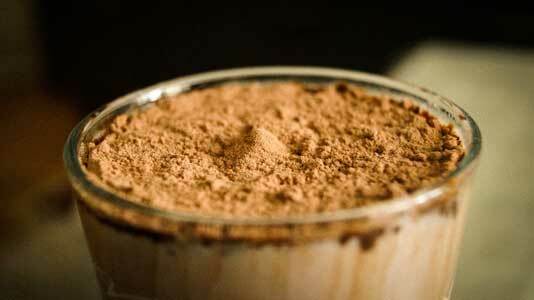 Gone are the days when plant protein was considered whey protein's anaemic counterpart. Some interesting research has been published of late has been clearing up this point of contention. One paper in particular highlighted the ability of pea protein to MATCH the muscle thickness gains when compared to whey protein1. So there's no reason plant-based enthusiasts and vegans can't stand up strong in the gym and lift as much as the omnivore beside them. This research is simply reflecting the formidable EAA content of pea protein, as it is these amino acids that stimulate muscle protein synthesis and the adaptation response to exercise2. One very important EAA for this process is called L-leucine. L-leucine activates mammalian target of rapamycin (mTOR), which is an important trigger for muscle protein synthesis3. When this trigger "goes off", and the other required EAAs are available, muscles repair and grow. If you are concerned about your muscle getting too big from all of these EAAs and leucine and mTOR activators, there really is no need to worry. It takes a long time and a lot of weight training sessions in order to develop muscle bulk. You won't wake up one morning wondering why your leg weights five pounds more than it did last night! The human body simply doesn't work this way. EAAs and high quality protein helps your body adapt to the type of training that you are doing. If you are lifting weights more like a bodybuilder, with 30-90 second rest periods, this product will help your muscles respond favourably with size over time. However, if you are simply going for a run or doing some light resistance training, Rule 1 R1 Plant Protein will still assist with recovery, though more so with replacing old and worn muscles fibres with new ones, and helping to improve general muscle functionality and health. Mix 38g (1 heaping scoop) into 200-250ml cold water or your favourite beverage and consume. INGREDIENTS: Protein Blend (Pea Protein, Sunflower Seed Protein, Pumpkin Seed Protein, Watermelon Seed Protein), Natural Flavours, Inulin, Xanthan Gum, Guar Gum, Reb A (Stevia Extract).